Our users at Team Profit differ substantially from one another, in terms of where they are at in their Matched Betting journey. Some are learning about what liability is, some are learning about equal-profit method on refund welcome offers and some are tackling the varying lay method options associated with football accumulator refund offers. But they all have one thing in common, they're all increasing their ability to earn risk-free profits from matched betting. Oddsmonkey offer a fantastically tailored service to help make increasing your profits even easier - One To One Training. So let's going into how this could benefit you and the three brackets you may fall under; Newbie, Intermediate or Advanced.. This is great peace of mind when starting out, you can sit down with an Oddsmonkey Matched Betting expert and pick their brains about anything you like before you take the plunge and start making risk-free profit from matched betting. Whether it's asking what 'decimal odds' are or asking how exactly the Oddsmonkey Oddsmatcher will save you considerable time when finding the most profitable bets, no question is 'dumb' when starting matched betting. You may understand the basics of matched betting and racked up a very tidy 3 figure profit from the welcome offers so far. However you're not sure on the refund welcome offers and how to use the 'equal profit calculator'. Or you might fancy moving onto the 'existing customer' free bet offers to add to your ongoing profits, but want advice on how to tackle them. No fear, you can book in a one to one session and get the information for your personal situation. Even if you're a fully independent matched better who's been making healthy profits for months or years, you can still benefit from a one to one session. We get endless questions about two matched betting techniques in particular; each way betting and football accumulator refund offers - if either of these still have question marks surrounding these or many of the other Oddsmonkey advanced tools then you can get your questions answered! 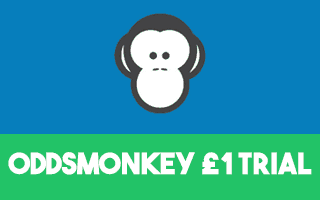 The split into newbie, intermediate and advanced sections is irrelevant really, once you're booked into a one to one session with Oddsmonkey you can ask them ANY questions you like to further your matched betting profits. I highly recommend taking advantage of one of these sessions if you can, they can really maximise your profits and come included in the monthly Oddsmonkey fee!